1984 was a difficult year. The USA as the Olympic host nation was intending to stage the Paralympics wheel chair games at Champaign, Illinois. Then with just four months notice the organiser, the University of Illinois, pulled out due to financial difficulties. 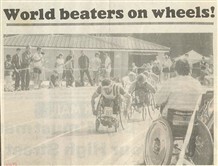 To save the day Stoke Mandeville offered to host the games instead. 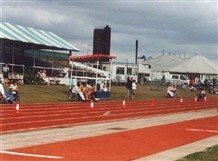 The sports stadium at Stoke Mandeville had opened in 1969. 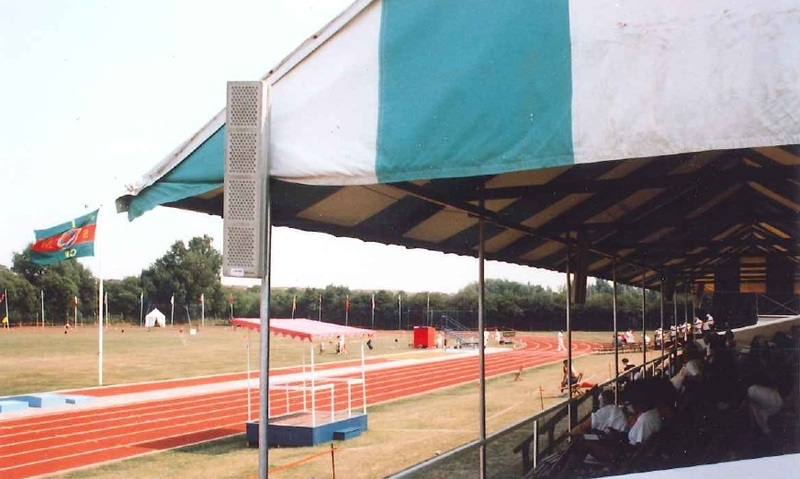 It was now 15 years old and far too small for an Olympic venue. 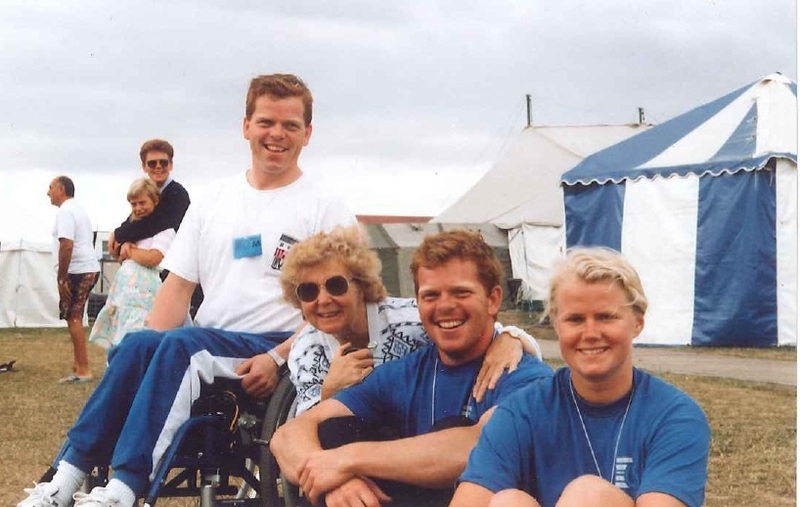 What Stoke Mandeville did already have was 35 years experience of organising and hosting national and international games. The sports stadium had been built in 1969 and a decade later the 'Olympic' village had opened. Guttmann speaking at that opening, had declared "We will build a sports stadium and an Olympic village so that the disabled athletes of the world will always have their own Olympic facilities here at Stoke Mandeville when other facilities are closed to them". But perhaps he hadn't actually anticipated this offer being taken up just five years later. The British Paraplegic Sports Society took a huge risk when they offered up Stoke Mandeville as the replacement venue. The logistical challenge was enormous. At the games site specialist buildings and improvements to the sports field had to be put in place. Heathrow airport provided the organisers with a free office for five days to oversee the arriving teams while a dozen ex-Leicester city buses were purchased and, with their seats removed, used as competitor transport. There were five different companies contracted just to maintain and repair the wheelchairs. IBM donated computers and operators for the scoring; BT laid on miles of additional telephone cables and their engineers came out voluntarily to wire up the switchboards; the courtesy cars were blagged from the organisers of Wimbledon, which had fortunately just finished. One and a half thousand wheelchair athletes and officials from 43 nations were never going to fit into the existing 'Olympic village'. Some slept in hospital beds on the wards; others were distributed out to Mandeville School (Japanese team), the local agricultural college (Israeli team) and RAF Halton camp (American team); games officials ended up further afield in Thame and High Wycombe. Smaller national teams might stay in the spare rooms of local people's homes with their coaches and trainers camped in the garden. 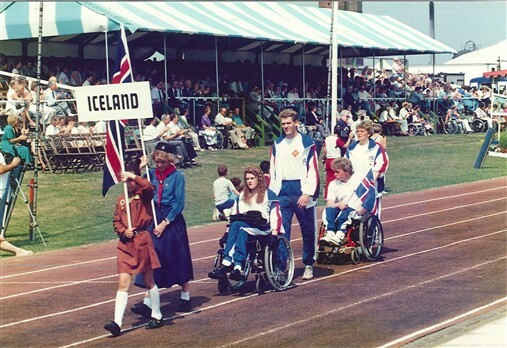 The Icelandic team, seen opposite, stayed with Rob and Mavis King at their house in Stoke Mandeville. "This is Prince Charles laughing as he is leaving the games, in response to a comment I made to him about whether he would be competing this year. His detective in the middle was bit grumpy. I had my hand behind my back because I was holding one of those enormous early mobile phones, so he was very suspicious of that and wanted me to keep my hands out front where he could see them." Aylebury District Council had declared that Aylesbury would be the 'Olympic' town and local businesses stepped up to the challenge. Otis Lifts paid for the daily newspaper, "Pursuit" that was published throughout the games. The Aylesbury department store, Narbeths, run by a Welshman, Mr Jones, organised a Welsh choir concert while Marks and Spencers organised a local fashion show, both as fundraisers for the games. The marathon, starting in Amersham, was marshalled largely by volunteers. There were volunteers everywhere. Volunteer nurses and St Johns Ambulancers worked the Spinal Injuries wards to free up the nurses for games duties. At the opening ceremony the Brownies and Girl Guides got to carry the flags; boys from the Boys Brigade did the clearing up afterwards. Douglas Joss was released from his job on Aylesbury Council to organise local volunteers for the Games, who were known as the Blue Banders. He was told, "Take as long as you need." When it came to the Marathon, "the police said they couldn’t help, all they could do was put a few extra motorcycles out. So we had Blue Bander volunteers as marshals all along the 26 miles from Amersham to Stoke Mandeville." The reward for volunteering at the games was a badge, but as Douglas Joss recalls, "Many of the volunteers who turned up for the 1984 games were already wearing these badges with sometimes 5 or 6 different “year” bars hanging below, showing just how long they had regularly been turning out to help. These were the people who came and made the beds on the wards where the various teams were put up, or went and met teams at the airport; things like that." There was already a long established tradition of local kids helping out as Ron Gaffney remembers. Keith started work at the Stoke Mandeville Stadium in 1969 when it opened and continued there until 1992. He had a major role in organising the 1984 games. 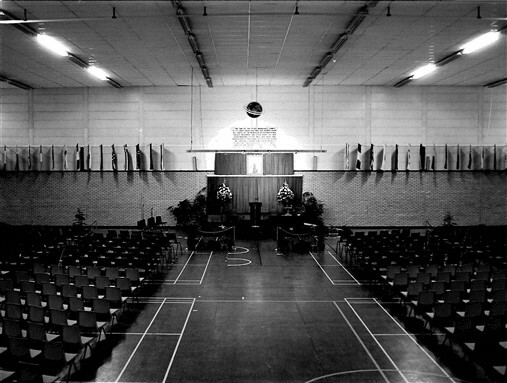 Douglas was the secretary to the District Council; he was told to stop doing his day job and just concentrate on organising volunteers for the 1984 games. 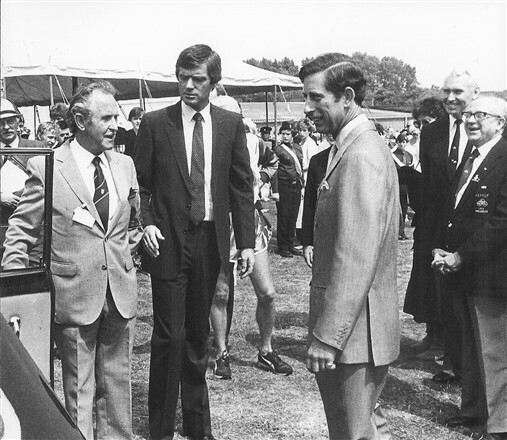 Bob worked at the Stadium and was very involved in the organisation of the 1984 games. Read the full interviews with Keith, Douglas and Bob below.